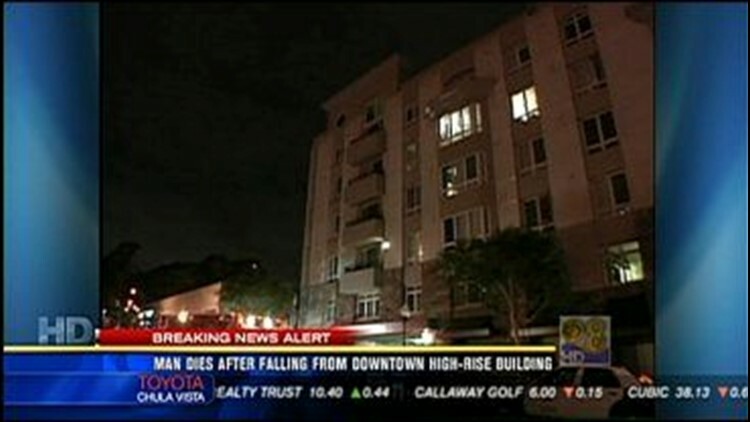 Authorities are awaiting the results of an autopsy on a 56-year-old man who fell to his death from a residential building downtown San Diego. The victim, whose name was withheld, fell about 50 feet from the five- or six-story building at Broadway and 14th Street about 10 p.m. Friday, according to The San Diego Union-Tribune. The man was declared dead at the scene at 10:36 p.m., San Diego police Lt. David Rohowits said. Joshua Stone, 25, who lives across the street, told the Union-Tribune he heard the fall. "I heard metal," Stone said. A woman walking her dog pointed out the victim's body, next to a metal gate, when police arrived, he told the newspaper. Rohowits said there was no indication of foul play, but investigators have not determined if the man fell or jumped. The body was turned over the Medical Examiner's Office for an autopsy.